Felco are world reknowned for their high quality secateurs manufactured in Switzerland. There is a model to suit everyone; differing hand sizes, right or left handed, technique and duration of work. 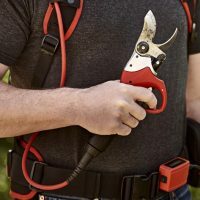 Essential: An economical, lightweight and comfortable pruning shear that provides excellent cutting performance and a great choice for low usage gardeners. There are two models, are 160S for small hands and a 160L for large hands. Basic: These versatile and precise basic models lend themselves to all types of work. Their straight cutting head allows right and left-handed users alike to use the tools with ease. We stock the Models: 2 (Classic), 4 (Standard), 5 (Economy), 11 (Classic Grower) and 31 (Anvil cutting model). Ergonomic: The ergonomic models offer cutting heads and ergonomics suited to every user, right and left-handed and/or users with large, medium or small hands. To reduce the cutting effort and prevent tendonitis (RSI), the tools feature inclined cutting heads and some models offer a revolving handle that further reduces physical effort and enhances user comfort. We stock the Models: 6 (Compact), 7 (Professional ergonomic with angled head and revolving handle), 8 (Professional ergonomic with angled head), 9 (Left handed version on No. 8), 10 (Left handed version of No. 7), 12 (Compact with revolving handle) and the slightly larger Multipurpose No. 13 which can be used with one or two hands. 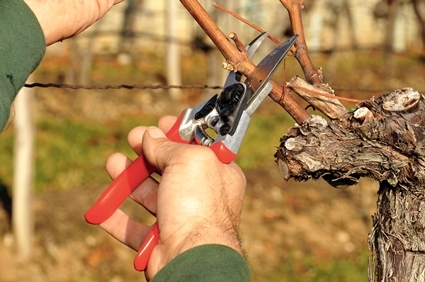 We are always happy to advise on which Felco pruning shear model would be most suitable for you so if you are struggling do have a chat with us. 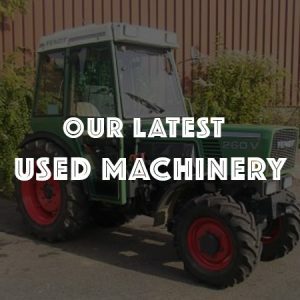 We keep a wide range of spare parts for these as well as the secateur blades, along with ancillary items such as holsters and sharpening stones. We also have Felco factory trained staff here able to carry out servicing if required.